Yes, we know, part of the Vespa's charm is its classic design and old-school vibe, but how would a futuristic-looking model from the iconic Italian scooter manufacturer turn out? Would fans embrace it or shun the idea altogether? Now before you all go nuts, flipping tables and whatnot, have a look at the Vespa Elettrica—one of the two 'classic' scooter models featured at the recently-held 2016 Milan Motorcycle Show. 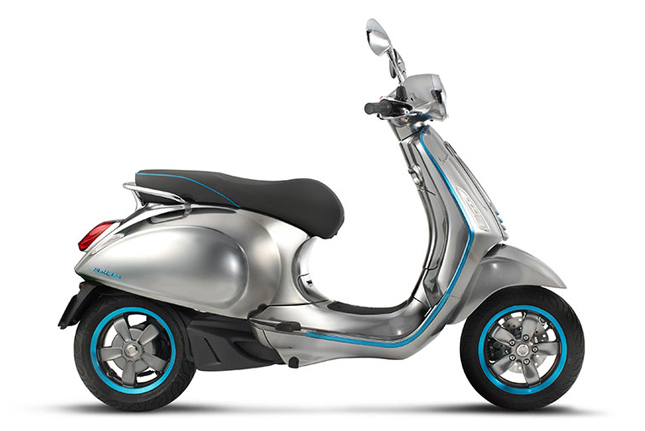 Combining classic elegance and a more modern look, the Elettrica has been dubbed by the Piaggio Group as the future of Vespa mobility; it's a very bold claim, but one the company seems deadset on fulfilling via an intriguing mix of tech solutions and an environment-friendly drive. It's electric, but Vespa says the scooter will retain all the features and riding pleasure previous generations have been loved for. Of course, keep in mind that this isn't the final product: Elettrica production and sales are scheduled for the second half of next year. 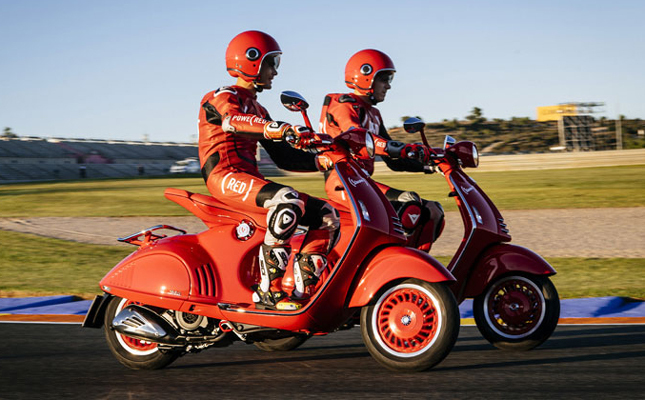 Aside from the Elettrica, the Piaggio Group also brought out its collaboration with RED for the benefit of fighting AIDS, tuberculosis and malaria. 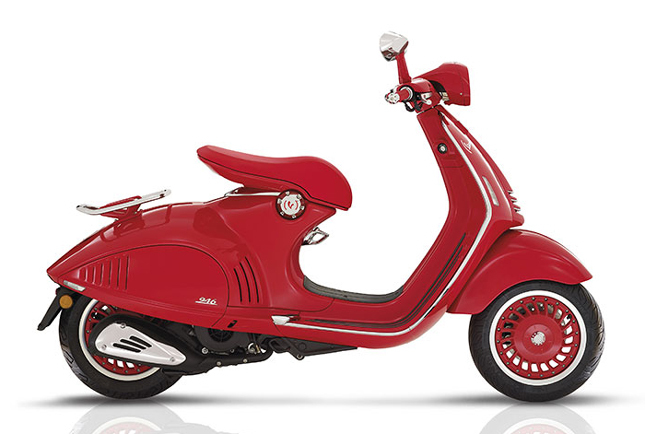 The Vespa 946 RED is, well, an all-red iteration of the company's classic scooter, and a celebration of the brand's 'legendary status'. 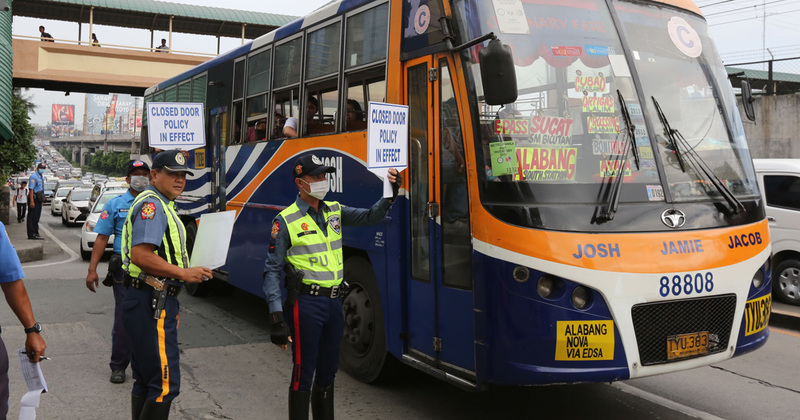 For each unit of the two-wheeler sold, $150 will go to the Global Fund and the fight against AIDS—an amount which the company says is worth 500 days of vital HIV medical treatment. 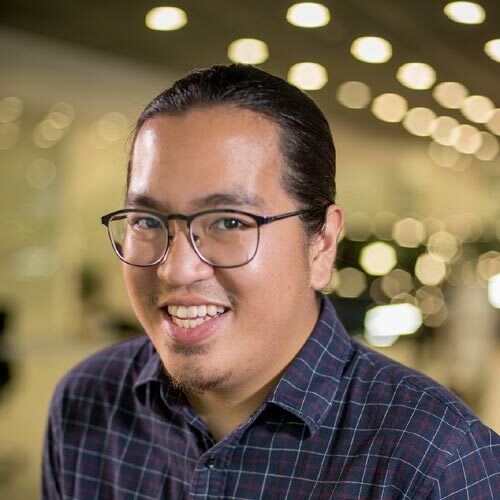 The company says the RED will be very exclusive and very valuable. At least it's for a cause, right? Whichever one you prefer, you're at least saving something—whether it's a life or the environment depends on which style you dig more. Do you prefer the classic look? Or is it about time Vespa brought its design up to speed?